Another CPBL player might head overseas after the 2018 season via the CPBL posting system. On November 8, the Uni-Lions’ 23-year-old right-handed pitcher 陳韻文 (Chen Yun-Wen) filed for international free agency. In doing so, he became the second CPBL player to declared for IFA this offseason. Chen Yun-Wen Going to the Phillies Organisation? There are rumours the Philadelphia Phillies are one of the teams that are interested in the Uni-Lions’ closer. As during the season, the Phillies scouts were spotted numerous times at Tainan observing Chen. Under the current CPBL rules, players are eligible for international free agency once they accumulate three service years in the CPBL first team. With the team’s approval, they can sign with the overseas organisation. In June 2014, Chen Yun-Wen turned down a $300,000 USD offer by an MLB organisation and entered the CPBL draft right after high school. The Uni-Lions drafted Chen in the first round and signed him for $168,000 USD on August 30. In terms of Chen’s pitching repertoire, in 2018 season, he throws a fastball which topped at 152kph along with a slider and a mid-130kph forkball as an out pitch. Chen made his CPBL first team debut on September 12, 2015. He finished his rookie season with a record of 5.63 ERA and 1.69 WHIP over 16 innings of work. 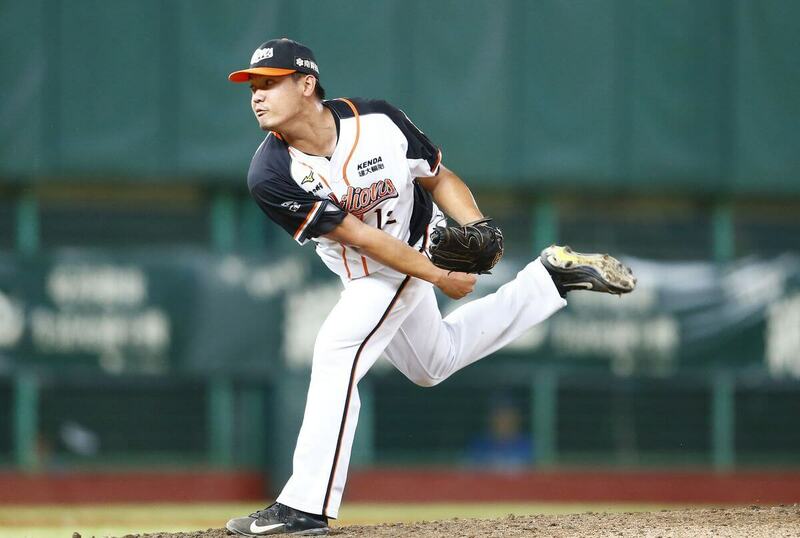 Shortly after the 2015 regular season, the Uni-Lions assigned Chen to the 2015 CPBL Winter League (Asia Winter Baseball League) where he faced the top NPB, KBO and CPBL prospects from November to December. Chen serves primarily as the Uni-Lions’ closer in 2017 and 2018 season. In 2018, he posted a 3.72 ERA, 1.22 WHIP, 3.73 FIP and lead the league with 30.50 K% (league average is 17.49%). Chen also ranked second in the CPBL with 19 saves. Will a MLB team that gets him send Chen to AAA for some seasoning first before coming up to the MLB? Most likely. According to an MLB scout who wish to remain anonymous told Taiwan’s SETN, that he thinks the organisation will probably assign Chen to the Double-A for some seasoning. The last guy that jumped from CPBL to MLB was Ni Fu-Te, who started in Tigers’ Triple-A in 2009 and made his MLB debut in June, 2009. There’s one more guy did something similar, Tsao Chin-Hui who received a life ban in the CPBL for game-fixing. In 2015, Tsao signed a minor deal with the Dodgers and was assigned to Triple-A, he was call up to the MLB in July, 2015. This kid is good. I hope to see him to play in the minor league atleast AAA and then been call up to the show.